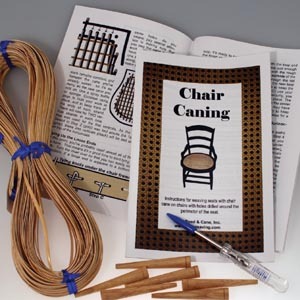 Below are suggested labor charges for chair caning and other kinds of seat weaving. Remember that some geographic areas charge more. Charge what the market will bear in your area- based on costs of living. You should always feel comfortable that you’re earning a fair wage for your work. $5 per inch, measuring the longest chair rail. Add materials cost to this. Generally, the current charge for re-caning chair seats with holes is $1.35 per hole. Count the number of holes around the entire frame and that’s the $ amount that you should charge for labor alone. Add your materials cost to the labor charge. 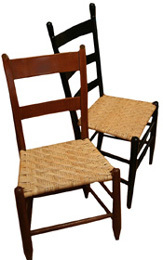 New England Porchweave or Finger Lakes Fanweave and other seats in Binder Cane is $6.50 per inch. Measure the longest rail. For example: 15″ across front rail x $6 = $90 labor per chair. Add the cost of materials to the labor charge. $5 per inch, measuring the longest side. Add materials costs.